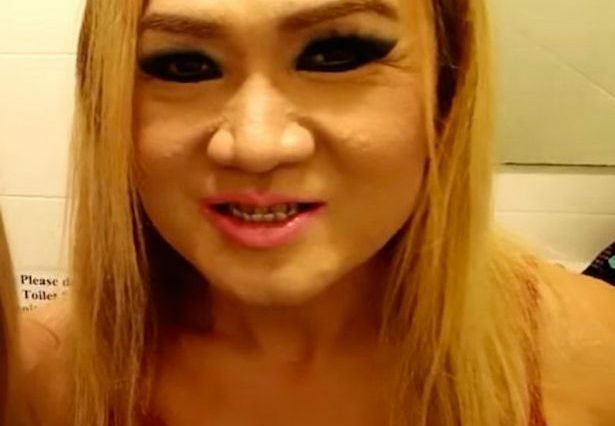 Imagine waking up to be told you’d f***ed a ‘ladyboy’ when you’re on holiday in Bangkok with your girlfriend. A Czech woman called Lenka took not-so-sweet revenge on her boyfriend Cenek for passing out and cutting their night short. She employed a playful ladyboy (below) to cosy up to Cenek and wave a ‘used’ condom in front of him saying ‘It’s just me here. And we did it’, The Mirror reports. Merciless Lenka watched and cackled away as her frantic boyfriend’s life flashed before him. You’re not Lenka. What the f***? You’re not my girlfriend. What the f***? No, no, Lenka, where is Lenka? Luckily Lenka and the ladyboy save him as he’s on the cusp of a full-blown break down, jumping into the room in fits of laughter. I bet Cenek will sleep with one eye open from now on!